If you are a parent yourself then you probably have an idea how hard it is to keep an eye on your kids all the time. It is nearly impossible for parents to protect their kids without invading their privacy and that’s why million of people are now moving toward monitoring apps and services that allow parents and employers to keep a constant eye on the activities of their kids and employees all the time. mSpy and Spyera are two of the most popular monitoring apps available today; let’s compare their features and other aspects. In order to install Spyera and mSpy on the target device, administrators have to have physical access to the target device for few minutes. After the installation and initialization process, no physical access is needed because administrators will be able to configure and monitor all the activities performed on the target devices from the web portal and secure login company provides at the time of purchase. 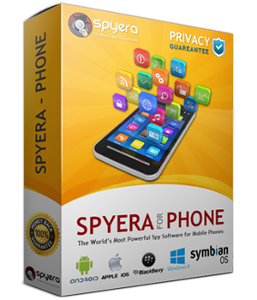 Spyera is compatible with iOS devices including iPhone and iPad, Android devices including phones and tablets, BlackBerry devices as Symbian devices. It is also available for Windows based PCs and laptops. 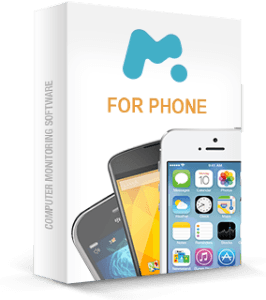 mSpy is available for iOS devices (jail broken and non-jailbroken both), Android devices as well as Windows based computers and Mac OS. No other service except mSpy supports non-jailbroken iOS devices and that is a huge plus. Both of these services have basic monitoring features like call monitoring, message monitoring, email monitoring, internet usage monitoring, network monitoring as well as location tracking feature. Spyera and mSpy both services have location tracking features that is equipped with another amazing function. The location tracking feature is quite simple and self explanatory; administrators can track the target device with the help of GPS feature of the device and pin point the exact location of the device anytime they want. This location tracking feature also has a built in route recording function that simply records the route of the target device, how much time that person spends on a particular location and how much time he takes to go from one place to another. Both of these services allow administrators to get their hands on the conversations made on IM services like WhatsApp, Facebook Messenger, Viber and Line. mSpy also supports Snapchat monitoring that is a huge advantage as a majority of kids use Snapchat on regular basis. Unlike most of the other monitoring apps and services, Spyera does not categorize its packages and plans based on operating systems but it categorizes them based on the form factor. Spyera for Windows based PCs and laptop is available for $50 for 3 months, $60 for 6 months and $70 for 1 year. It is available for iPad and Android tablets for $150, $190 and $250 for 3, 6 and 12 months respectively. Android, iPhone, BlackBerry and Symbian versions of Spyera are available for $190, $290 and $390 for 3, 6 and 12 months respectively. On the other hand, mSpy has 4 different packages that are basic, premium, family and bundle. These packages come with different features and different time periods that makes it easier for users to select the most suitable plan according to their needs. Although both of these apps are packed with all the necessary features you need to protect your kids and business yet mSpy has some advantage in pricing section as well as compatibility with non-jailbroken iOS devices that is a good news for millions of people.